Lahore, April 2: Pakistan could be blacklisted by the Financial Action Task Force (FATF) due to "lobbying by India", Foreign Minister Shah Mahmood Qureshi said as he estimated that the country could suffer USD 10 billion loss annually if it remains in the watchdog's grey list. In June last year, the Paris-based FATF had placed Pakistan on the 'grey list' of countries whose domestic laws are considered weak to tackle the challenges of money laundering and terrorism financing. Pakistan Foreign Minister Shah Mahmood Qureshi Says International Media Will be Taken to IAF Raid Site in Balakot. The FATF is working to curb terrorism financing and money laundering and has asked Pakistan to reassess the operation of banned terrorist outfits in the country. Pakistan is under intense international pressure to rein in terror groups like the Jaish-e-Mohammed (JeM) after the Pulwama terror attack. "The Foreign Office is calculating the annual loss if Pakistan is pushed in the black-list by the FATF as India is lobbying for this," Foreign Minister Qureshi told reporters at the Governor's House here on Monday evening. He said the government has calculated that Pakistan will face USD 10 billion loss annually if it remains in the 'grey list'. A group of experts from the FATF recently visited Pakistan to review whether Islamabad has made enough progress on global standards against financial crimes to warrant its exclusion from the watchdog's 'grey list'. The visiting team members reportedly raised questions over specific and on-ground actions against each of the eight organisations proscribed under international requirements. It wanted the break-up of suspected transaction report against each banned outfit and specific actions taken against each entity. The team members said that activities of banned organisations and non-profit organisations are still unchecked at the provincial, district and grassroots level where they can still raise funds and hold meetings and rallies. The FATF noted that Pakistan had revised its terror financing risk assessment but did not demonstrate a proper understanding of the terror financing risks posed by the Islamic State group, Al-Qaeda, Jamaat-ud-Dawah (JuD), Falah-i-Insaniat (FIF), Lashkar-e-Taiba (LeT), Jaish-e-Mohammed (JeM), Haqqani Network and persons affiliated with the Taliban. Prime Minister Imran Khan's government recently banned Mumbai terror attack mastermind Hafiz Saeed-led JuD and its charity wing FIF. It declared JeM and five other groups "high risk". It also arrested over 100 members of the banned outfits including the son and brother of JeM chief Azhar Masood. The government also has taken over the control of the properties of the banned outfits including the JeM, the JuD and the FIF what it says in accordance with the FAFT requirements and the National Action Plan. Ahead of the team's visit, Pakistan wrote to FATF President Marshall Billingslea to appoint any other member as co-chair of the Asia-Pacific's Joint Group, in place of India, to ensure that the FATF review process is fair, unbiased and objective. The Joint Group is a sub-body of the International Cooperation Review Group (ICRG) of the APG. Pakistan is a member of the APG and its case is being presented before the FATF by the APG. India's Financial Intelligence Unit's (FIU) director general is the co-chair of the Joint Group. Pakistan Says India Conducted 'Grave Violation' of LoC, Promises to Retaliate After IAF Drops Bombs on JeM Terror Camps in Balakot, Muzaffarabad. In case of the worst outcome, Pakistan may have to implement yet another Action Plan from October onwards. The FATF's Action Plan implementation deadline is September this year. The review on the implementation of the FATF Action Plan held in February did not go well, which has increased pressure on Pakistan. The next FATF review would take place in June in Washington and before that Pakistan will have to show compliance on 16 points that have been agreed for May in addition to three issues that were left out in the last review. 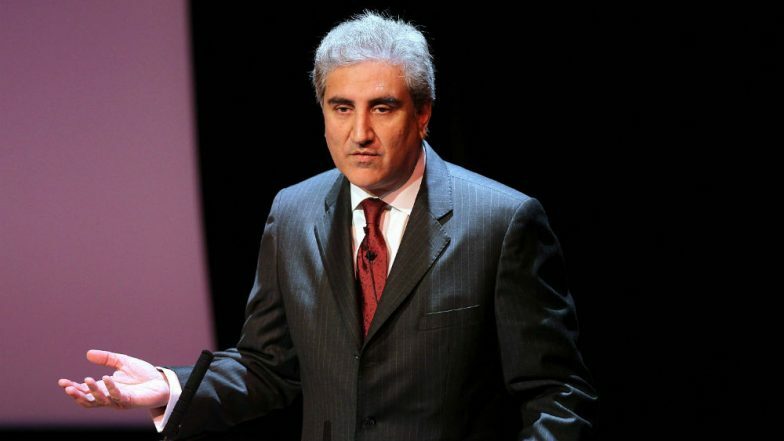 To a question on the suspension of dialogue on the Kartarpur corridor by India, Qureshi said: "Pakistan went to India for a meeting on Kartarpur despite the escalation on borders but India was hesitating for a second meeting scheduled for April 2. I ask India to bring its apprehensions on the table for review by Pakistan but avoid cancelling meetings." Indian officials said they will wait for a response from Pakistan on the issue and they're not going ahead with a previously agreed meeting on the Kartarpur corridor on April 2 in Wagah on the Pakistani side. Last November, India and Pakistan agreed to set up the border crossing linking Gurudwara Darbar Sahib in Kartarpur, the final resting place of Sikh faith's founder Guru Nanak Dev, to Dera Baba Nanak shrine in India's Gurdaspur district.